In a desire to reduce the number of dependency files, we have begun compiling all of our shared, or "Essential" files into one installer. 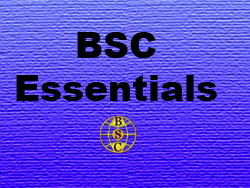 These files contain mostly custom queries, but also minor props and related things that are used on a great number of BSC lots. This package will also install the BSC Tracking file, which enables SimCity to track certain custom lots for reward purposes, just like it already did with many Maxis lots shipped with the game. This update is a major change in the way we have organised these files. We have now merged most of the files into one dat , with the exception of bsc_Reward_essentials.dat, which for various reasons remains separate. This package will be updated on a routine basis; be sure to check back every so often to be sure you have the most current version. In addition, some files have been moved to SG Agricultural Extras simgoober, and some textures were found to be duplicated from BSC Textures Vol 02, so we recommend that you also download these files as well. This page was last modified on 27 January 2009, at 18:16.